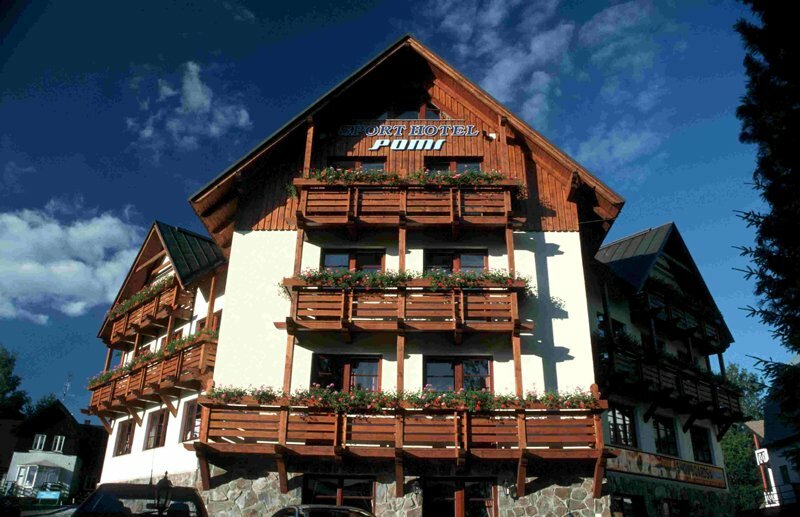 The POMI alpine hotel is located in the centre of the famous Krkonoše Mountain resort of Harrachov. 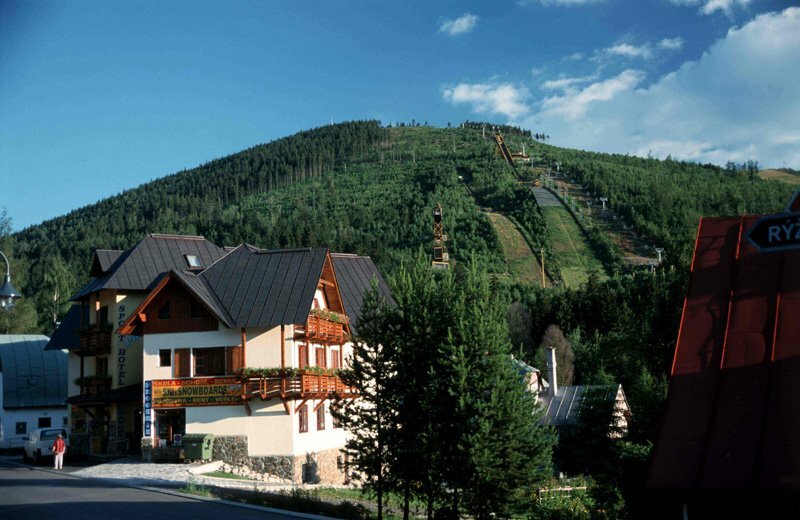 The chairlift to Čert (Devil) Mountain is only 100 m away. 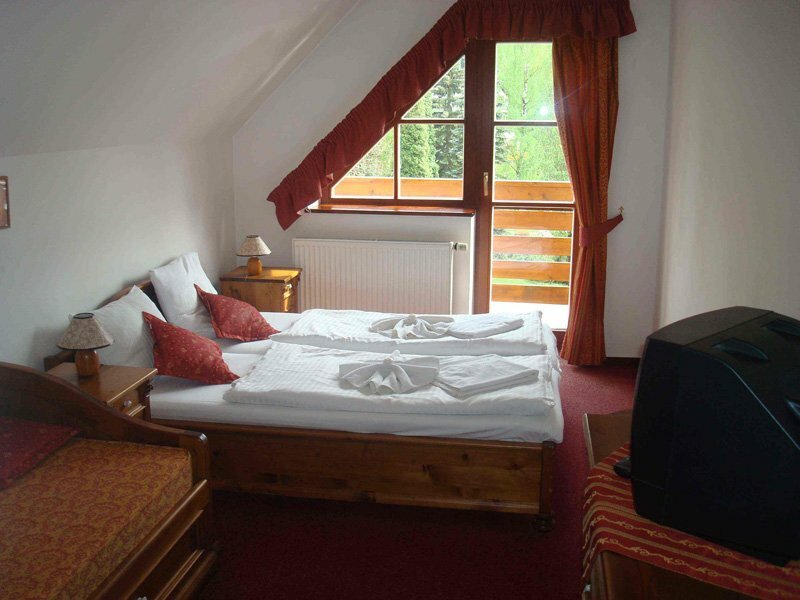 For guests there is also a sauna, whirlpool, reception with currency exchange, lounge, communal seating area on each floor and a playroom.